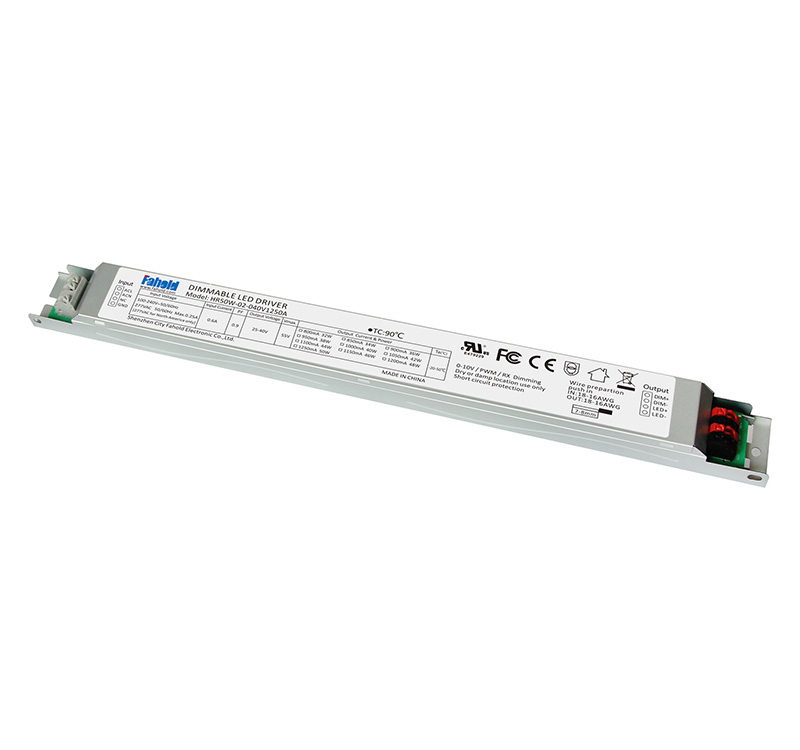 HR50W-02 LED Linear Lights Driver, designed specifically for indoor use(Linear light, troffer, track light), to operate general Linear Lighting Systems. 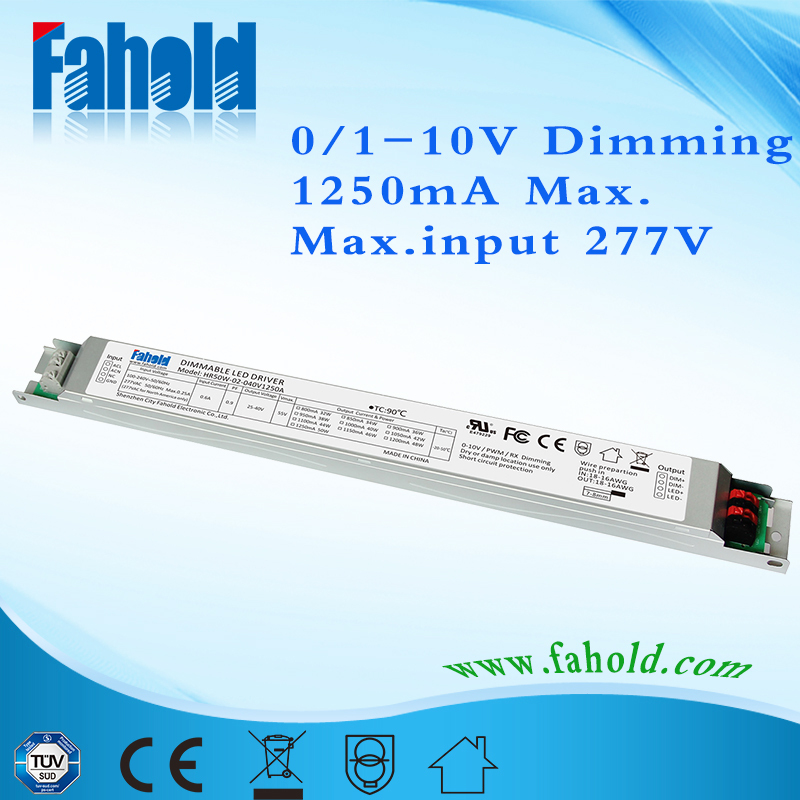 Flicker free 0-10V dimming LED Driver 50W 1250mA, with wattage range of 30W to 50W ,UL,FCC,CE compliant, wide voltage output of non waterproof design. The units are fit for Linear lighting. Other standard features of the range including 100-277V , protections against short circuit, over load and thermal to 110 °C, across the whole surface of the unit. 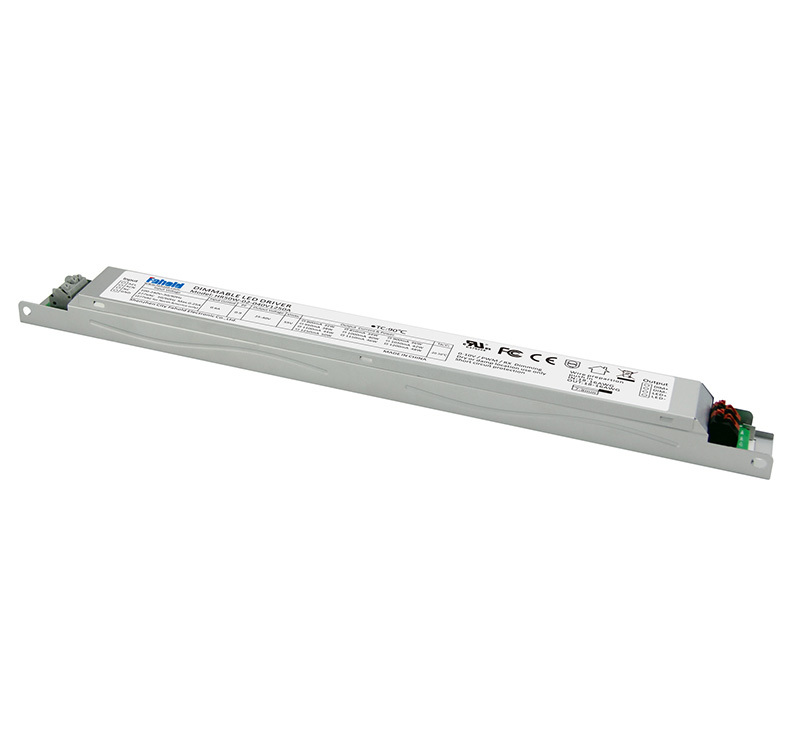 H50W-02, Flicker free 0-10V dimming, Utra Slim Driver, Desigen for high lumen Linear lights, Europe market application. Energy saving driver. Its housing was made out of Hard shell, independent design for the output connection structure, suitable for Europe market.